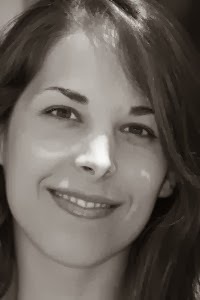 Hannah Jayne is the author of See Jane Run, which came out earlier this month. To celebrate her release, she's here today to talk about how some of her life experiences have shaped her as a writer! I'm pretty sure I was a born writer. I wrote my first novel in the second grade and a second in the fifth. Granted, they were awful books about penguins and beachcombers and then, in junior high, I wrote a blatant Christopher Pike ripoff book. Luckily, all of those stabs at literary brilliance are shoved up in my parents' attic somewhere, never to be read again by human eyes, but possibly one day to be sold on eBay. The books were awful for a lot of reasons--one being beachcombers, another being penguins--but I was finding my voice and practicing my art because then, I had to imagine all the experience one might have out in the great big world (...if one was a penguin, especially). After all, as a chubby, bookish second grader, my experiences went little past My Little Pony and peanut butter sandwiches. Then I started to get older and slightly wiser. I gained insight and inspiration through bad choices and wrong turns. I had a horrible, wonderful, manic first love that was as toxic as he was loving. Passion turned into abuse, abuse turned into depression, and suddenly I found myself alone in my college dorm room, broken. I couldn't function; I couldn't process the tsunami that had just hit: leaving home, freeing myself from that bad relationship, realizing that now I was supposed to do everything on my own. I was paralyzed, but I could write. It was the only thing I could do. I'm not entirely sure if that situation--feeling like I was going down the rabbit hole--shaped my writing, or if my writing shaped that situation--making it into a thing of fiction that, as all fiction does, was assured an ending. That's how my whole life has been since then--life leading art, or art leading life. It sounds hoity toity and kind of cliche but it's true. Ever since I sat down and started writing, really writing my own stuff, my own words, my own thoughts and ideas, things seemed somehow easier. Situations smoothed out and yet, everything affects me. Years ago emotion, depression, bad boyfriends, penguins, a perm that made me look like a show poodle--all of that would have thrown me into a curly-fry eating tizzy. But somewhere along the way I started thinking like an author, started thinking of my life as a series of stories--good or bad, they all come to an end and something else starts. I don't think I'll ever know if my life experiences shaped my writing or the other way around, but as long as there's a good story in there somewhere, I'm okay with that. The only way to know the truth? Find out what happened to Jane O'Leary." 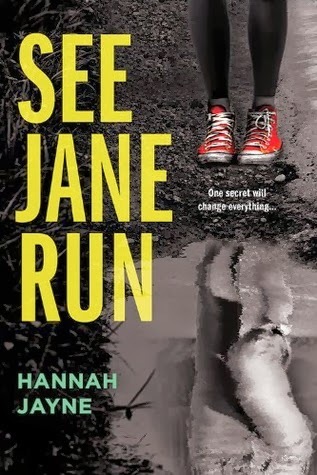 See Jane Run is available now as a paperback from Sourcebooks Fire!